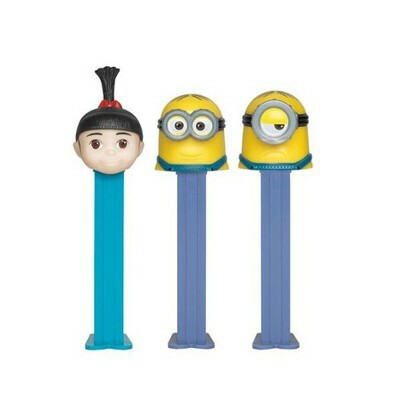 There's nothing despicable about these adorable PEZ dispensers! Filled with PEZ brick candies, these iconic sweets dispensers make for great gifts and stocking stuffers! 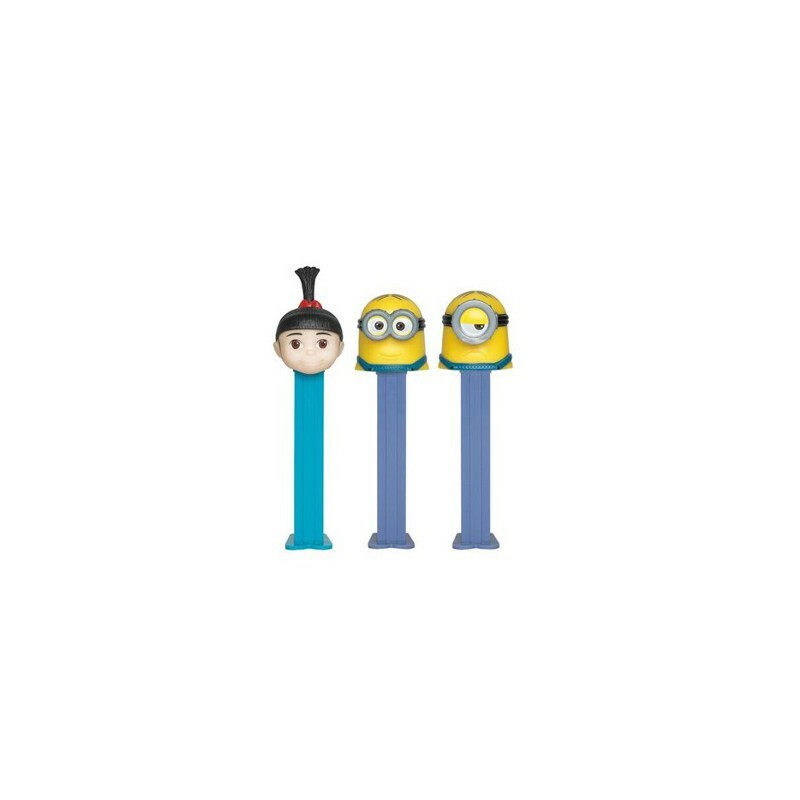 While we have three different models available (Dave the Minion, Stuart the Minion, and Agnes Gru), your dispenser will be chosen randomly. Check out all of our fun and friendly products from PEZ! Sugar, corn syrup, acidity regulator E355, vegetable oils (hydrogenated palm kernel and palm, soybean), emulsifier E471, natural and artificial flavors, colors E127-E102*-E110*-E132 depending on which flavor. May have a laxative effect on sensitive individuals. *May have an adverse effect on activity and attention in children. Not recommended for children under 3 years. Nutrition facts (for 100g): calories 389Kcal, total fat 0g (saturated fat 0g), total carbohydrate 100g (sugar 100g), protein 0g, salt 0g.